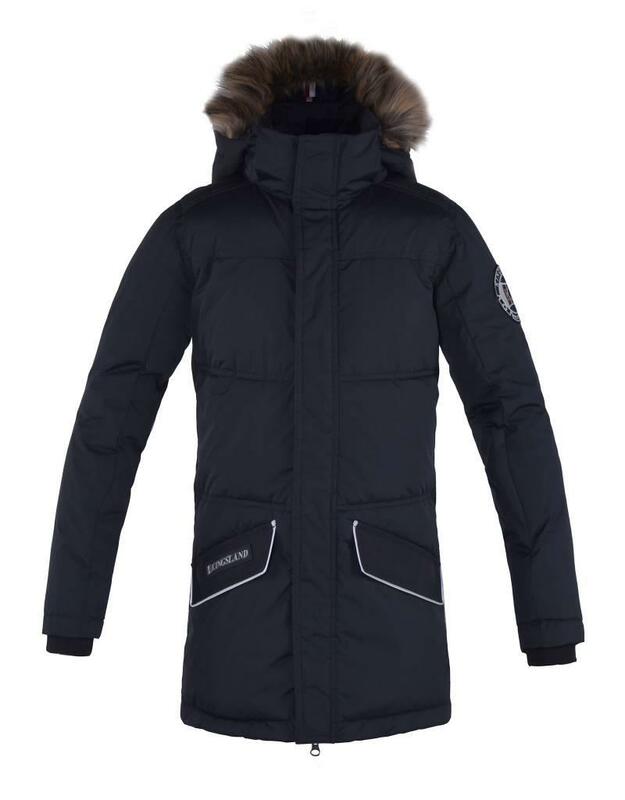 Insulated parka with detachable hood. Light weight in soft durable fabric. 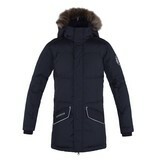 Breathable and water repellent. Quality 2-way zippers. Knitted rib on cuffs and faux fur on hood. Reflective piping on elbow patches and front pockets. and center back.